Architect’s rendering shows a 6 story building, to be built on one of two possible sites on Jensen. The building will have 100 apartments, of which 25 will be set aside for Veterans. NORTH HOUSTON – A meeting was held last Monday at the Greater Jerusalem Church on Jensen Drive, for the purpose of discussing plans to build a new housing structure as part of a plan to revitalize the decrepit business district of Jensen Drive. The meeting was billed as a Community Development Partnership Meeting, and included government officials, local pastors, local business and community persons, and real estate developers. As explained by Chris Akbari of ITEX Group, a development company, in conjunction with the J. Allen Management company, a new Leo Daniels residential building would be built, and the current tower would be renovated. Akbari told the group that there are two possible sites, one on the east side of Jensen across from the church, and the other on Harrell Street to the north of the current building. If the second site is chosen, it would also have the possibility of using the rest of the land for a new grocery store and extensive parking. Akbari explained that negotiations for this Option 2 are underway, but not finalized. Pastor Russell noted that whichever scheme is chosen, it will require the discussion and approval of the Leo Daniels board. The new building would be six stories tall, and house 136 apartments. 66 of these would be efficiencies, 58 one bedroom, and 12 two bedroom. 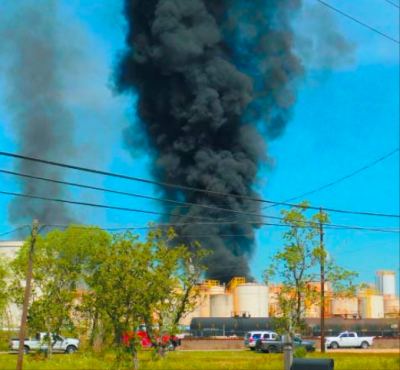 Akbari said that financing had already been secured, including 4% Housing tax credits, City of Houston HOME funds in the amount of $5 Million dollars, CDBG federal funds through the state including disaster relief after the floods, and a $6.6 Million mortgage. Total project cost is about $26 Million dollars, he said. After the new Tower 2 is built, residents from the existing tower would be moved to the new building, allowing renovation of that building. The existing Leo Daniels tower was built in 1979, is 8 stories high, cost $2.8 million dollars, and has 100 apartments. It was named for Pastor Leo Daniels of the Greater Jerusalem church, who was active in restoring the area around the church. The renovated Tower 1 would include 100 apartments, 57 efficiencies and 43 one bedroom. It would serve low income residents, and 25 would be reserved for homeless veterans. Congressman Gene Green attended the meeting, and said he grew up in the area and was pleased to see the efforts to revitalize Jensen. Councilwoman Carla Cisneros said that the city and the Mayor were all in favor of the project, and pledged $5 million for the much needed housing. Akbari said that if Option 2 site is chosen, then the land across Jensen to the east would be available for about 30 single family houses. The management of the two buildings plans to provide support services to the tenants, including educational, medical including drug rehab, and social activities. The plans for the building show a beauty salon, a fitness center, a business center, an outdoor green space, and a dog park. It also includes a large community room, a craft area, and a theater. 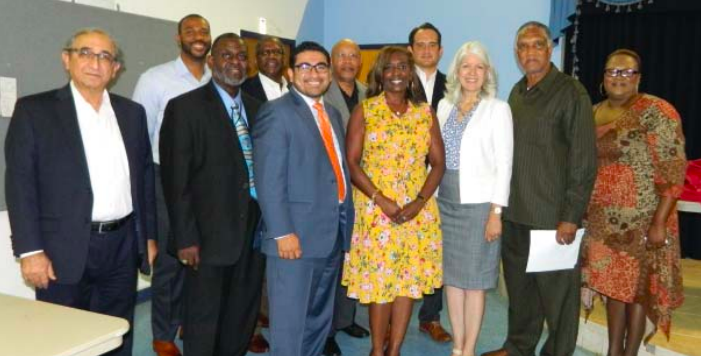 Community Planning Committee for the Revitalization of the Jensen Drive area includes Armando Walle, Yuroba Harris (Gene Green office), Derek Darnel (Sylvia Garcia office), Pastors Joe Russell and David Smith, Leona Daniels, and representatives of the J. Allen and ITEX Real Estate firms.